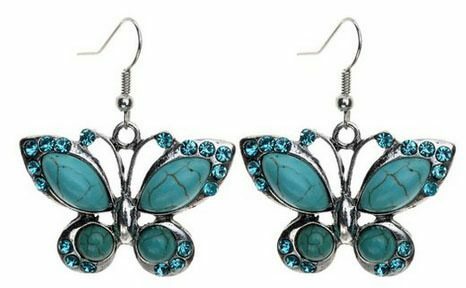 Crystal Turquoise Butterfly Earrings Only $4.99 SHIPPED! You are here: Home / Great Deals / Amazon Deals / Crystal Turquoise Butterfly Earrings Only $4.99 SHIPPED! Check out these gorgeous earrings – these Crystal Turquoise Butterfly Earrings are just $4.99 (reg. $15.99)! And, shipping is FREE! These are so pretty! Love them! And, you can treat yourself without feeling guilty. These would make a great gift, too!